Image copyright Colin Purrington, used with permission. A recent survey by the National Surveys on Energy and the Environment found that only 16% Americans believe there is no solid evidence for global warming. On Friday, I was happy to report that climate change denial was removed from the social studies textbook Pearson proposed to sell in Texas. And I was sad to say that McGraw-Hill hadn’t gone far enough in addressing climate change denial in their Texas geography textbook. I’m pleased to be able to update that report and say that both publishers have now agreed to correct their coverage of climate change. 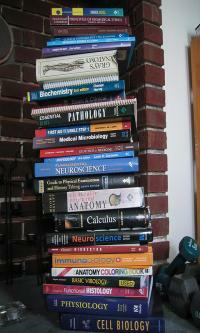 The latest battle over Texas textbooks is coming to a head. Next week, the state board of education will vote to adopt social studies textbooks, setting the list of books approved for use in history, geography, social studies, economics, and other classes for next decade. Normally we at NCSE don’t spend much time looking at social studies textbooks, but climate change comes up in several of the books and we looked them over to make sure the science was right. Those were the first words I heard upon logging into Monday’s working session of the Texas board of education. The board was meeting with publishers to discuss revisions to social studies textbooks, in preparation for the final adoption vote on November 21. Next up on our tour of misunderstood and/or maligned evolution-related topics—embryos! With the news that an expert review panel unanimously approved Pearson’s Biology textbook and rejected creationist criticisms of it, there was one last nagging mystery in the Texas textbook saga. I expected the book to be approved as written, having said it would take five minutes for reviewers to see that the complaints against the book were bogus. It's a joy to be able to report on a sweeping victory for science education in Texas, and to be able to give an eyewitness report of the fight over the textbooks that will be used in that massive textbook market for years to come. It's a joy to be able to report on a sweeping victory for science education in Texas, and to be able to give an eyewitness report of the fight over the textbooks that will be used in that massive textbook market for years to come. 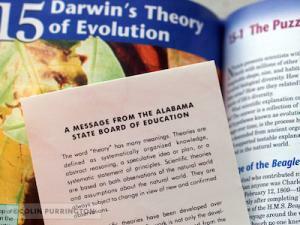 The 2009 battle over Texas science standards made it quite possible that the textbooks adopted last week would be riddled with creationist claims, or would give creationist board members a toehold to demand that publishers rewrite their books or be left off of the state's approved list.